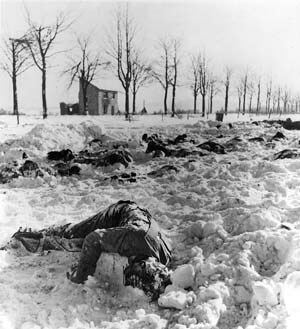 Years after the Battle of the Bulge and the infamous Malmedy Massacre, Joachim Peiper died under mysterious circumstances in Traves, France. One of the foremost German characters in the Battle of the Bulge was Obersturmbannführer (Lieutenant Colonel) Joachim Peiper, the notorious Waffen-SS commander of the strongest armored Kampfgruppe (KG) of the 1st SS Panzer Division, Leibstandarte SS Adolf Hitler (LSSAH). It was his KG of 117 tanks, some 700 other vehicles, and nearly 5,000 men that Hitler had intended should reach the Meuse River first, but he failed and, after 10 days of intense fighting, was forced to escape through American lines with no heavy equipment and only 800 men left. Even so, Peiper received swords to his Knight’s Cross for his part in his beloved Führer’s last great offensive in the west. 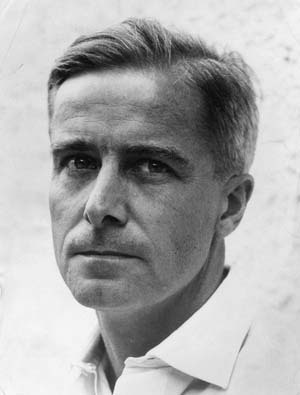 After the war he was labeled “GI Enemy Number One” for his alleged part in the Malmedy Massacre of American prisoners, and to this day he is remembered by most Americans, and certainly by all Bulge veterans, as a condemned war criminal whose murder in France in 1976 is seen as poetic justice for the man they believe cheated the hangman’s noose in 1946. To his German comrades, however, his murder made him the last of the fallen—the last casualty of the famous unit in which he had served for nearly 11 years; and to neo-Nazis and to those with Fascist and far right tendencies he has become a hero whose memory is revered. On December 11, 1968, Peiper and two of his former officers were accused in a German court of killing Italian civilians in 1943. The Italian authorities and nine plaintiffs brought the case from a small town in northern Italy called Boves. Peiper’s unit had been stationed in the area after taking part in the disarming of the Italian Army in August 1943, and the accusations stemmed from an incident the following November when two of his NCOs had been kidnapped in the town, allegedly by Italian soldiers. Tags Adolf Hitler, American, artillery, Battle of the Bulge, Belgium, BMW, British, CIA, Company B, concentration camp, Dachau, Europe, fascist, France, French, general, German, Germany, GRU, HBO, Italy, Joachim Peiper, knights, Leibstandarte SS Adolf Hitler (LSSAH), london, Malmedy, Malmedy Massacre, Marseilles, Mary, Mein Kampf, Meuse, Meuse River, military, military archives, Munich, Nazi, Nazi Party, NSA, Odo, OSS, Panzer, Paris, Porsche, POW, sword, swords, Tanks, Tern, the battle of the bulge, the battle of the bulge was, Third Reich, Thor, Tory, Troy, Union, Volkswagen, Waffen-SS, weapons, West Germany, WIN, wounded. I am currently reading Danny s Parker’s new book about about peiper called “hitlers warrier” and cannot put it down! Jochen peiper’s story is intrirgiuing, disturbing and ultimately tragic– another willing hitler victim! Will we ever be free of the third reich poison? Someone commented about will we ever be free of the third reich. Truth is no, are we free of the Roman Empire, Stalin, etc. Or any others for that matter over the last half of the 20th century. And now, what has happened in the beginning of the 21st century. There is all ready replacement for the reich as the new face of evil. They will be seen in the archives of history for what they truly are, enemies of humanity and god, and hopefully one day will meet their day of reckoning like the third reich and others have. I’m old and may not see it happen, but it will come to pass. “Another willing Hitler victim” …… And I suppose the only ones capable of ruling their own mind and making a logical decision would be anyone who agrees with your enlightened mentality ^^ the arrogance of the left always surprises me. Both sides committed war crimes….. That includes the whiter than white Americans. It is just that the victors write the histories and otganise the education system. It was the first crime William E. Jones had ever committed, which was probably why he could still remember it well so many years later. He and other soldiers in the 4th Infantry Division had captured a small hill. “It was pretty rough,” Jones later wrote, describing the bloody battle. Does the author realize that the National Socialists were, in fact, Socialists and leftists. nazis were leftists and (just as today) they bow to the God of big government and not God himself, or herself. Good article, but your “far right” comments distort who the Nazis were and who the current Socialists are…. Wm Raft seeks to continue the lie of the Nazi Party being “Left”. This is complete nonsense. If he had read any of the many histories of the Third Reich he would find the the NSDAP (in translation: National Socialist Workers Party) had existed in Germany long before Hitler’s rise to power. Hitler backed his group into the NSDAP in order to gain parliamentary seats giving him a political base to build on. An important fact as to Peipers name. Well before World War ll ended he changed his name from Joachim to Jochen. A member of the sadistic S S , it was felt that the name Joachim was too biblical . It is my opinion after having serves in the military in Germany that the germans are still influenced by that mad man Hitler. Some one stated that the crimes of the 3rd Reich would not be forgotten for a thousand years. I believe that to be true. Traves is located just south-southwest near Vesoul.Capital of the French department of Haute-Saone.Which is the scene of the murder of Joachim Peiper on July 14,1976.Which is Bastille Day.Which dates back to 1789 which is during the French Revolution.Including the present-day capital Paris.And 1976 is the same year as of the American Bicenntennial,U.S. Presidential election year and also during the Cold War on its 31st year after World War II in 1945. David, stop you are embarrassing yourself. Your venom and illogical hatred ( underlying feelings of inadequacy) show you have more in common with the madman than most. Nations with their monetary Problems. This is germany today. And yet instead of Jackboots it is ransacking countries such as Greece, italy and whoever else disagrees with its leftist vision with crippling financial debt…. all as a result of its European market monopoly. He got his ” Issue ” which was long over due. For all eternity his home is Hell. Peiper was definitely murdered – and none of us should go along with that. French groups or somebody else? Who knows? Reading the conemporary newspaper reports it seems that it was a case of ‘another ex-nazi is dead – nothing to see here’. Quite understandable, really. For his many war crimes and killings of civilians and soldiers during the war, he should have been hanged years earlier. In particular, the US authorities should have carried out the death sentence that they passed on him and his Waffen-SS comrades in the immediate aftermath of the war for the Malmedy massacres during the Ardennes offensive in 1944. I do so wish that there were labels with the photos. For all the information this publication provides, how about just a bit more? It would add more. You epitomise the left wing liberal of today. Lack of knowledge, ability or direction. I imagine that you cling to whatever populist cause passes your way…. BLM today, save our vegetables from cruel farming practices tomorrow. When there is war, there will be the murder/killing of the captured!! This has happened in all wars! Are they all war criminals, or soldiers getting revenge? You only will know if you have been in war, and your moral code! Yes, the execution of prisoners is not uncommon, and certainly not during World War II. But every soldier knew that it was wrong; and the victor gets to pass judgment. When it came to war crimes, the Nazis got what they deserved, for the most part. This is just the radical left trying to redefine the term neo nazi to fit their own agenda.. They are trying to pin it on the Republicans They are masters of deceit. It is another one of their brain washing techniques. The Nazis hated the capitalists and the communists. The term ‘Socialist” preceded by any prefix such as Neo-National Socialist, Democratic Socialist, etc. are all on the left side of the economic spectrum with political overtones. May I suggest, to any of you doubting Thomases or Thomasines, that you take up an advanced course in Comparative Economics in your local University for the truth. Now in my fifties it never ceases to amaze me the volume of white spoken . A soldier is a soldier and sometimes it is impossible to place common civilian values on what is a war objective . Get lost with all your political crap , left or right or grow a pair and go into battle for your country and beliefs instead of carping neo this and political that from your safe couch .